How you Must Use Google Keyword Planner For Effective Blogging? The Google Keyword Tool, well know and used by bloggers for keyword research over the years, has now been replaced by a new tool called Google Keyword Planner. Perhaps this new tool is just in accordance with the latest SEO changes - or perhaps it isn't. But whether for the better or the worse, we're now stuck with tool for carrying out research on keywords, since its predecessor was one of the best free tools we had for the purpose. This post is all about using this new keyword tool for blogging (and SEO). Google has shaken up quite a few things here. First of all, the tool is no longer public. You have to sign up for an AdWords account, which even though is free, still doesn't beat the convenience offered by the freely and publicly available tool of the past. Then there's the lack of device segmentation. You can no longer segment desktop, tablet and mobile traffic, since now it's all merged into a single number, which is a big fat bummer for many who have mobile-/tablet-optimized websites and drive a significant traffic from mobile devices. As you use the tool, you'll realize that a lot more has changed (as we'll soon discuss). The interface has been changed, and when you log into the tool, you can see four options you can choose from. The options are pretty straightforward. You can search for new keyword and ad-group ideas using a single, or a list of keywords, or you can look up search volumes or traffic estimates. Here are the options explained briefly. Now there are quite a few things to keep in mind while researching for keywords. Location-targeting - The old keyword tool only allowed for "local" and "global" results. Now, you get results for the defined location settings. Not only can you choose a particular country, you can even drill down to a city! You can change location settings from the left-column. CPC - The new tool has estimated keyword CPC data turned on by default, unlike the old tool, and is supposedly more accurate than the old one. So are the new changes worth celebrating, or are we going to miss the old tried-and-true Google Keyword Tool? For a heavy AdWords user or a Google shareholder you should welcome the change! AdWords users will appreciate the tighter integration in terms of being able to brainstorm and easily add keywords to their campaign. Plus, the “more accurate” CPC estimates, ideas tab, and increased visibility into location targeting are all nice touches. But sadly, this transition seems to be in line with changes Google’s made over the last few years that are increasingly focusing on satisfying shareholders and the bottom line. By making the tool only accessible via AdWords, Google is guaranteed to increase revenues as more people sign up for accounts. And Conductor’s insights into the unusual increase in reported search volumes are unusually convenient for Google from the perspective of potentially enticing more advertisers. And in a world where mobile is growing insanely fast, I can’t think of any good reasons for limiting insights user have into mobile search. It’s a real disappointment that this functionality is no longer available. Sadly, we think our old beloved keyword tool has been re-positioned to benefit AdWord users and Google’s interests more than the average blogger/webmaster. What do you think of all these changes? Leave your comments below and let us know what you think! Really an informative post. I hope this will help me to take my blog to the next level. Also I got some new ideas about the Keyword planner..
Great tool by google and thanks Mbt for informing. Yes, Google keyword planner is most important for blogger. 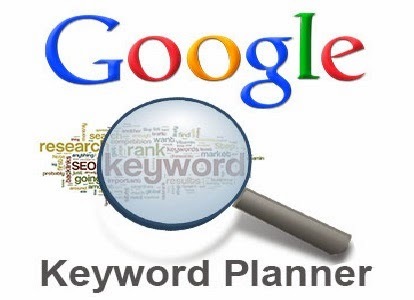 keyword planner is most important for blogger. thanx.